New England wallabies have expensive tastes … they like truffles. Research shows a greater diversity of plants attracts a greater diversity of birds, essential for spreading pollen. 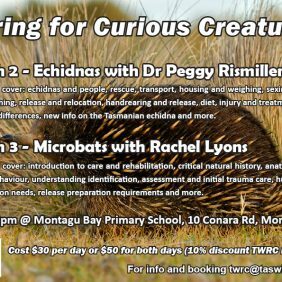 What’s smaller than a tick that lives on an echidna? The bacteria that lives in the tick. Researchers discover a unique bacteria that lives only in echidna-biting tick. Q: How do you wash an echidna? A: Very carefully. With 1872 plants and animals now threatened with extinction, endangered species deserves a better deal this election. 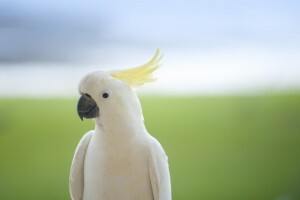 Gulf of Carpentaria wildlife sanctuary identified as significant for shorebirds. This story highlights why public education on wildlife is so vital and just how stupid people really can be. Who knew?? Echidnas like the occasional dip. A tiny chick is warming and winning hearts at a WA wildlife centre. Koalas in Queensland victims of urban sprawl. Feral cat impacts on Kakadu worse than first thought. 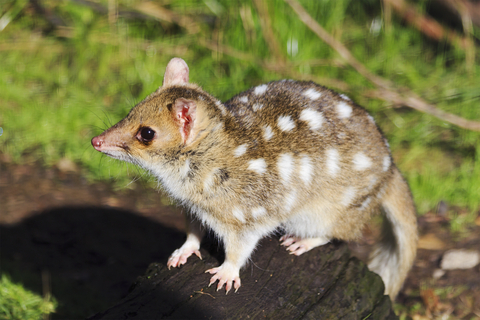 You can lead quolls to safety but it appears you can’t make them stay. Discover the nomenclature of some of our amazing animals … all is not what it seems. Take a sneak peek into the life of South Australian wildlife carers. N.B. While South Australian laws allow for the keeping of wildlife, Tasmanian legislation does not. 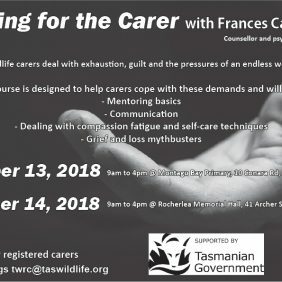 Anyone considering caring for native animals in Tasmania must register with DPIPWE.